We all eat every day, but somehow, no one really quite knows what to eat. Despite all the nutritional research, diet books and theories, how is it that most Americans are still baffled about what to eat to achieve a long and healthy life? Nutrition is the only field where people can scientifically prove opposing theories and still be right. No wonder everyone is confused. Also the vast majority of public nutrition information is created by the publishing industry and their job is to sell books, so they have to create new diets each year. That being said, we’ve come a long way in understanding how the food we eat affects our health. Each year new scientific research is solidify what we intrinsically always knew to be best…eating real food. By real food I mean food that comes from an animal or farm. So how did we get so confused about what to eat? Well it all comes down to food politics and greed. Public nutrition policy is commanded by the political process, which is orchestrated by large food corporations, all to maximize their profits unfortunately at the expense of our health. It all started in the industrial revolution and spiraled way out of control. The truth is that the majority of food we are eating, is not really food at all, but rather engineered processed food that puts dollars in the food corporation’s pockets and leaves the rest of us overweight, diabetic or worse. Sadly about 70% of the calories Americans are eating today are from processed artificial foods. These foods are making us fat, sick and tired. Between misleading food marketing, untruthful labels and a food industry with a focus on profits and not health, we are experiencing a global health epidemic. It has never been more important to know how to eat healthy. If you master the above 3 things, you’ll be on your way to eating healthy which in turn will help you achieve and maintain your ideal weight and sky rocket your energy levels to fuel your life. Once you have a better understanding of your relationship with food, the next step is to determine what to eat AND what not to eat. This is where the confusion usually sets in. Should I be vegan? Vegetarian? Paleo? Plant-based? Raw? Should I eat meat? Not eat meat? How much should I being eating? The answer to these valid questions is completely based on several factors; specifically age, gender, lifestyle, geographic location and heritage. For example, an 80 year old women should eat differently than a 16 year old teenage girl. A male college athlete has different nutritional goals and needs than a middle aged mother. I think you get the point. As you go through your life journey your diet should change. Well how do you know when I’s time to change your diet? Well this is were being in touch with your body comes in. Our bodies are absolutely beyond amazing! They actually give us signs and signals as when it’s time to change things up. You’re mood, energy level, skin, and digestion all respond based on if you’re on target or not. It’s essential to eating healthy in the 21st century to become in tune with your body wants and needs and to listen to them. I teach a concept I learn at the Institute for Integrative Nutrition called bio-individuality, that there is not one right or wrong way of eating only a right or wrong way for your unique body chemistry (gender, ancestry, age) and lifestyle (how active you are, where you live). It’s important to understand that we literally are what we eat. As food goes into our bodies it gets digested and absorbed into our blood and our blood is what created our cells, tissues, and organs. This is the reason it’s essential to EAT REAL FOOD. So much of the food available and consumed today is not real, it’s manufactured in a food plant instead of coming from a plant. Above all this is the biggest challenge most people face when it comes to healthy eating in the 21st century? Why? Because processed food is convenient, fast and tastes good. The vast majority of food found in grocery stores today is processed. Sadly, even health food stores like Whole Foods contain mostly processed food. This is one reason it’s essential to do a good detox program once or twice per year to clear out built up dangerous toxic build up. But to be honest it’s virtually impossible to eat all real food unless you live on a farm which is why being an educated consumer and learning to read a food label is so essential to healthy eating in the 21st century. So what do you look for when buying packaged food? It’s important to know about calories, what they are, where they come from and how they affect your body. A calorie is simply a unit of energy. Protein, carbohydrates and fats all contain calories but in different amounts per gram. Protein and carbohydrates contain 4 calories per gram and fat contains 9 calories per gram. Notice how fat has more than double the amount of calories per gram than protein and carbohydrates. This is why eating a diet consisting of a lot of fat leads to quick weight gain. Although not all fat is necessary bad. Good fats play an essential role in optimal health. Simply put, when you eat more calories than you burn, you gain weight usually in the form of fat. For this reason it’s essential to know how many calories you’re consuming a day and how to properly manage the amounts of calories going in and calories going out. After tracking the amount of calories most people consume in a day, they are usually greatly surprised at the total daily amount. 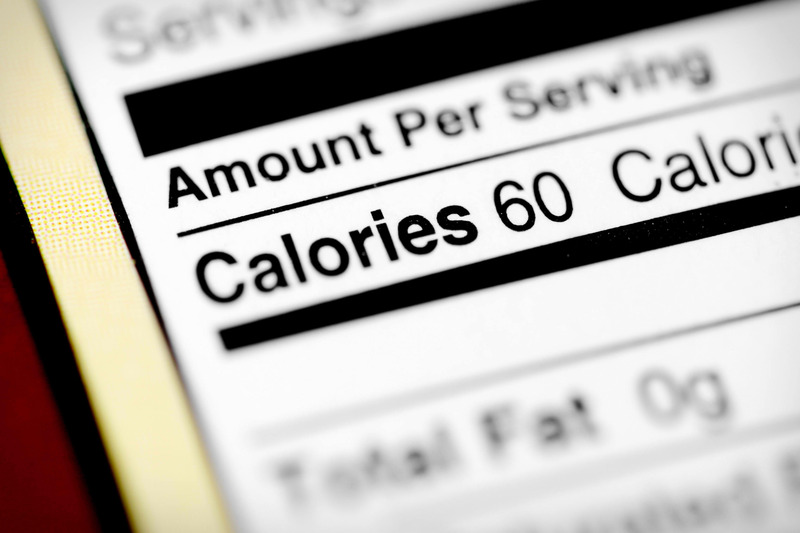 This is because calories add up very fast and can be hidden in many foods. But what’s even more surprising to people is when they realize how much energy it actually takes to burn these calories off. For example, let’s say you weigh 155 pounds. You’d need to run for about 26 minutes to burn off the calories you consumed from eating just a Snickers bar according to a Harvard Medical School study. For optimal health, you’ll want to stay within your daily calorie range to maintain a healthy weight (click here to calculate your the amount of calories your should be consuming). I am not a huge fan of counting calories. However, if you are overweight, to get an idea of how many calories you’re consuming, you’ll need to track you daily caloric intake for at least a week. Artificial chemical ingredients and additives to preserve the shelf life and “enhance” the flavor of processed foods. When buying packaged food, simply look for any unpronounceable ingredients on the label. This usually is a good indicator that it’s artificial. Below is a list of the most detrimental artificial chemical ingredients to look out for. This list is by no mean extensive! Again the easiest way to determine if a packaged food is healthy or not is simply by looking if the ingredient listed are whole foods or chemical ingredients you can’t recognize. Artificial sweeteners: related side effects such as headaches, nausea, anxiety, depression, dementia, and skin rashes. It’s scary that Americans consume about 150 pounds of sugar per year and 80 pounds of those 150 pounds is in the form of high fructose corn syrup. That’s about ½ pound a day per person. High fructose corn syrup is the unhealthiest kind of sugar because it’s absorbed more rapidly than regular sugar and doesn’t stimulate ghrelin or leptin production, the “hunger” and “full” signaling hormones, which leads to over consumption of food and disease. Research has now linked excessive amounts of sugar to cancer, diabetes and heart disease. Unfortunately, sugar is found in almost everything, even “healthy” products today; and when sugar isn’t used or burned, it’s stored as fat in the body. Sugar also causes inflammation in the body, and inflammation is at the root of almost all chronic diseases today. But even worse than refined sugar and high fructose corn syrup is chemical artificial sweeteners such as Splenda (sucralose), Sweet & Low (saccharin), Equal and NutraSweet (aspartame). These sugar substitutes have been created in a lab and recently linked to a long list of related negative side effects, such as headaches, nausea, anxiety, depression, dementia, skin rashes and cancer. Start checking the labels of the products you’re buying for sugar…even the “healthy” ones. To maintain optimal health, avoid processed refined sugars and sugar substitutes as much as possible. The worst kind of fat is trans-fat or trans-fatty acid, also known as partially hydrogenated oil. Most trans-fats are created industrially by adding hydrogen bonds to liquid oils to make a more shelf-stable product. However, some trans-fats occur naturally in beef, lamb, butterfat and dairy. Trans-fats raise LDL (bad cholesterol) and lower HDL (good cholesterol). When a fat molecule is partially-hydrogenated, the body doesn’t recognize it and the fat is carried around in the blood which leads to plaque buildup in the arteries which leads to heart disease. When reading labels, your eyes may be trained to search for “trans-fat,” but there are some loopholes food manufacturers are allowed in order to sneak trans-fat into their products. Although a product may say ‘0 g trans-fat,’ this may not be true. Only foods and supplements with 0.5 g of trans-fat and greater are required to be listed on the food label. Next time you browse a label, search the ingredient list for the term ‘partially hydrogenated’ and pass it up if you find it on the label. Trans-fat may be found in margarine, processed foods, candy, chips, soda, flaky pastries and some peanut butters. As far as the other types of fat, saturated, monounsaturated, polyunsaturated, they all play a role and are necessary in a healthy diet. The amount and different types of fats really depends on your bio-individuality and current health goals. Consuming too much sodium (salt), causes your body to hold onto water putting an extra burden on your heart and blood vessels leading to high blood pressure. According to the American Heart association, people with high blood pressure (140-160/90-99 mm HG) are more likely to develop heart disease or have a stroke. The average American consumes about 3,400 mg of salt per day, and the AHA recommends no more than 1,500 mg of total salt per day for optimal health. The best way to reduce salt intake is to eat less packaged, processed foods and by reading the food labels of the packaged foods you do buy. The most common high sodium foods in the 21st century are, breads, pizza, cheeses, canned soups, cold cuts, salted snacks, frozen dinners, sauces and seasonings. Eat less of these foods and add favor to your food in other ways such as cooking with fresh herbs and spices. The last important factor to eating healthy in the 21st century is being able to prepare a few quick, simple, healthy meals. Generally people buy and eat the same food week in and week out. Humans like routine because it takes less thought energy when we’re on autopilot and in the 21st century we are constantly being bombarded by information. However, it’s time to jump into the pilot seat and take control of what foods and meals you eat. Most people rotate between 3-5 meals options for breakfast, lunch and dinner and usually these options aren’t the healthiest choices just choices that somehow just became part of a routine. Below are the routine standards and some healthy eating in the 21st century recommend healthy meal upgrades. Steel cut oats topped with mixed organic fruit and small handful of walnuts and 1 tsp raw honey. A slice of sprouted grain bread with 1 tsp almond butter spread on top. In order to break this routine, choose new nutrient dense meal options you’ll enjoy and start rotating through these healthier versions of your not so healthy “normal” meal choices. Having several healthy meal and snack options for breakfast, lunch and dinner takes the guesswork out of food shopping and meal planning. Meal options should be fast and simple to prepare and nutrient dense. This will allow you to say goodbye to fast food—and hello to healthy food, fast. Use a meal planning and preparation guide to get started on choosing new healthy meal options to incorporate in your new healthier way of eating. I recommend simply learning to prepare just 3 new healthier meal options for breakfast, lunch and dinner. Then gradually incorporating new options over the weeks and months. In order to eat healthy in today’s modern world, you must master…your relationship with food, learn how to be an educated consumer and be able to put together just a few quick, simple, healthy meals. My hope is this by reading this article you’re now much more clear on how to eat healthy in our modern world. I want to invite you to join the healthy eating in the 21st century movement…to join thousands of other people who are changing the way they eat to better themselves, their families and the world. Now is the time to take control of your health, by first taking control of your diet. Take your healthy eating to the next level by downloading the free healthy shopping list and meal planning guide.